Es gibt richtig viele gute Football Manager-Blogs da draußen – die meisten in englischer Sprache. In dieser 14-tägigen Serie möchte ich euch einige dieser FM-Schreiber vorstellen, indem ich sie selbst zu Wort kommen lasse. Well, my name is Chris Darwen although people often mistake me for Johnny Cooper! 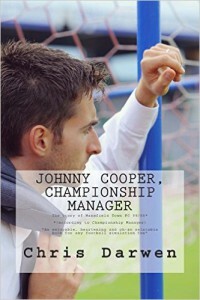 I guess I am probably known for writing the “Johnny Cooper, Championship Manager” books (available on Amazon) where I wrote a parody, fictional diary through the eyes of my made-up manager persona, Johnny Cooper. I wrote the book using Championship Manager 99/00 to create the narrative and it was a lot of fun! 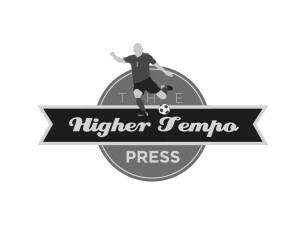 More recently I have launched www.thehighertempopress.com which is a small publishing company focused on publishing books by new author, be them about Football Manager, Championship Manager or any other sporting subject. Blatant twitter plug, but follow me on @thehighertempo. When did you start to play FM/CM? I was there right at the beginning with the first ever copy of Championship Manager back in about 1992. The first ever release didn’t even have real players and I am pretty sure, from memory, that you could only start as Barnet manager. It was the most amazing thing I had ever found for the Amiga and from that moment I played nothing other than those game on my Amiga. Once they stopped being released on the computer I binned that computer and had to get a PC. I think I stayed with CM all the way through to 01/02 and then “life” started getting in the way. I probably dabbled in a bit of FM occasionally between 2002 and 2014, but certainly not in the way that I used to play CM, and it was only after picking up the old CM games again in the summer of 2014 that I thought I would have a look and see what the new FM games were like. Time for bragging: what was your most extraordinary achievement in FM? Apart from becoming the Commercial Director of CD Torrevieja by telling them I had managed the club to La Liga on FM? Well, having not played a lot of FM until the last nine months I would have to say that my greatest achievement so far was taking Carl Zeiss Jena, a former East German great with a lot of pedigree, from the 4th tier of German football to the Bundesliga in straight seasons. Considering this was only my second proper save on FM ever and I had designed my own tactic I was very proud. I ignore the fact that I got relegated in the one season I played in the top flight, I still feel that getting a team with a monthly wage budget that was smaller than Manuel Neurer’s weekly wage to play at the top level was pretty cool. Which aspect of the game do you enjoy the most? For me it is all about player recruitment, I love searching the stats and finding value in the market. I know a lot of people love to go out and just sign the obvious names that everyone recognises as being the best players to sign, and that will guarantee them success and that’s cool for them, but for me I love trawling through stats in the most unlikely of places to find the player that could be the one. There has been a lot of good stuff written recently on FM in relation to Moneyball, especially by the likes of my nominator Alex Stewart, but I have tried to take it to the next level by incorporating a real Moneyball/Soccernomics angle on how to find players. Which is your favourite attribute and why? I tend not to look at player attributes unless I really have to, I prefer to check out their performance stats – but if I have to give an answer to this I look at the mental stats, the intelligence as I don’t think you can really improve many of these with training. Mentality and attitude has to come from the player so if I have two players that are very similar in their performance and price I will then judge them on mentality attributes. What was the most inspiring thing you lately read/saw about FM? There is so much quality writing in the community currently, and I am probably going to forget someone here – in no particular order at all, the stuff that Guido is producing at www.strikerless.com is amazing at the moment. His journeyman save is fantastic, and he is getting so much good writing material out of it. Cleon with www.sisportscentre.com is always a go to for me when I need something to read, though I personally prefer it when it is his stuff that is being posted as he is very much in a Champions League place for me in terms of his writing and knowledge. Someone I have stumbled across more recently is Rashidi and www.addictedtofm.com – his tactical stuff has helped me loads on the “Beating Brian” series I am writing for my new website www.thehighertempopress.com where I am aiming to emulate the achievements of Brian Clough by taking Wolves to the top of the game. There are so many good writers out there, it is hard to remember them all – Jonathan Aspey is another I enjoy plus plenty more that I have forgotten. Oh, and we should apply pressure to @shrewnaldo to get him writing again. 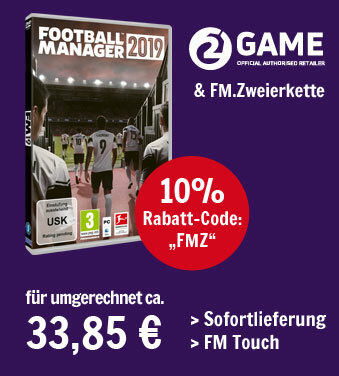 As you may (or may not) know we can’t buy FM in Germany nor is SI allowed to advertise it here. Yet the community is growing, making us a FM nation of beginners (despite having a few veterans here, too). Do you have an advice for someone who is completely new to the game? I did not know this, I find this amazing as it is such a big footballing nation. Advice for people beginning the game. Well, firstly if FM15 is the first copy of the game you have ever played then the world is your actual oyster I believe. You really can take a football club and run it the way you would run it in the real world. So my advice would be to imagine how you would manage a professional football club, from the style of play all the way through to the type of players and staff you want to recruit and then go and make it reality. I would also suggest reading as much as you can from the folks that have made the mistakes for you, as FM15 is a bit of a beast and I can imagine a lot of people giving up too soon as they find it overwhelming and difficult. Here’s the bonus question from Alex Stewart, who nominated you: How has writing FM fiction changed the way you view the game? That is a great question. Having written the “Johnny Cooper” books I cannot play the game in the same way. Almost every save I start gets written about, I have even more subplots and characters in each save than ever gets written about. It has also made me a lot more honest and real about how I play the game – no more devising an unrealistic super-tactic like you could on CM, I try and create something realistic and successful. No more just turning the computer off and starting a new save (though some people might note that I have written about four of five different journeys since I entered the blogging scene – please note that over 10,000 words was written on each before I moved on to something else!!) – if I start something I want to be committed to it longer term. It’s hard to say, but since writing the books I feel everything now feels even more real in the game, I think I am just very, very lucky to have been able to use the game that got me though some difficult times as a teenager and write a couple of books that people seem to enjoy. Now you may hand on the baton: Name one FM writer, I will interrogate for the next part of this series. Is there a question you want to ask him? It has to be Guido Merry. His website, www.strikerless.com was one of the first I read since picking up FM again and his style of playing has already given me a lot of enjoyment. Plus he is Dutch, and that instantly makes him cool in the football world. My question is: if he were a real life manager, how would he go about training a side to play strikerless? Mein heutiger Interview-Gast hat für fast fünzehn Jahre keinen Football Manager angefasst – ist mittlerweile aber wieder dabei. Dennoch ist er der Serie immer eng verbunden gewesen, denn er schreibt. Nicht nur einen Blog, sondern ganze Bücher: FM-Fiction sozusagen. Also, mein Name ist Chris Darwen, auch wenn mich die Leute oft mit Johnny Cooper verwechseln. Ich nehme an, dass ich vielleicht als Autor der „Johnny Cooper, Championship Manager“-Bücher bekannt bin. Ich schreibe ein parodisches, fiktives Tagebuch aus Sicht meines erdachten Trainers, Johnny Cooper. Das Buch entstand mithilfe des Championship Manager 99/00, um die Erzählung zu erschaffen und hat großen Spaß gemacht! Aktuell habe ich www.thehighertempopress.com gestartet, einen kleinen Verlag für neue Autoren, die über den Football Manager, Championship Manager oder andere Sportthemen schreiben. Auf Twitter bin ich unter @thehighertempo zu finden. Wann hast du mit dem Football Manager angefangen? Ich bin seit Anfang an dabei, seit der ersten Ausgabe vom Championship Manager ungefähr 1992. Damals gab es nicht mal echte Spieler und ich bin mir fast sicher, dass man nur als Trainer von Barnet anfangen konnte. Es war das erstaunlichste, was ich jemals für meinen Amiga gefunden hatte und von da an habe ich nichts anderes mehr auf dem Amiga gespielt. Als es für diesen Computer nicht mehr veröffentlicht wurde, hab ich ihn weggeworfen und mir einen PC zugelegt. Ich glaube ich blieb dem CM bis 01/02 treu, dann kam mir das Leben in die Quere. Zwischen 2002 und 2014 hab ich hin und wieder ein bisschen in den FM hineingeschaut, aber nie in dem Maße, wie ich den CM gespielt hatte. Nachdem ich im Sommer 2014 wieder in die alten CM-Spiele geschaut hatte, dachte ich es wäre interessant zu sehen, wie die neuen Football Manager wohl sind. Zeit anzugeben: Was war dein außergewöhnlichster Erfolg im FM? Abgesehen davon, dass ich der PR-Leiter vom CD Torrevieja wurde, nachdem ich Ihnen erzählt hatte, dass ich sie im FM bis in La Liga geführt habe? Nun, nachdem ich vor den letzten neun Monaten nicht viel FM gespielt habe, muss das wohl der Durchmarsch mit Carl Zeiss Jena, eine frühere ostdeutsche Größe mit viel Geschichte, von der vierten bis in die erste Liga sein. Wenn man bedenkt, dass es erst mein zweiter richtiger Spielstand im FM war und ich die Taktik selbst entworfen habe, bin ich sehr stolz darauf. Ich ignoriere die Tatsache, dass ich sofort wieder abgestiegen bin, aber eine Mannschaft in die höchste Spielklasse zu führen, die im Monat weniger verdient als Manuel Neuer alleine in einer Woche, war schon ziemlich cool. Welchen Aspekt des Spiels magst du am meisten? Für mich ist es das Verpflichten von Spielern. Ich liebe es Statistiken zu durchforsten und Schnäppchen zu finden. Ich weiß, dass viele Leute es lieben einfach die offensichtlichen Namen zu verpflichten, von denen jeder weiß, dass sie die besten sind. Das garantiert Erfolg und das ist okay für viele, aber ich für meinen Teil liebe es, mich an den unwahrscheinlichsten Orten durch Statistiken zu graben und den Spieler zu finden, der genau der richtige sein könnte. In letzter Zeit wurden in der Football Manager Community viele gute Sachen in Bezug auf Moneyball geschrieben, vor allem von Leuten wie Alex Stewart, der mich nominiert hat. Ich habe versucht, das auf die nächste Stufe zu heben und eine echte Moneyball/Soccernomics-Herangehensweise umzusetzen. Was ist dein Lieblingsattribut und warum? Ich schaue eigentlich nicht auf Spielerattribute, wenn ich nicht muss. Stattdessen schaue ich mir die Leistungsdaten und Statistiken an – wenn ich die Frage jedoch beantworten muss, dann sind es die mentalen Attribute, die Intelligenz, da man dort durch Training nicht so viel verbessern kann, denke ich. Mentalität und Einstellung muss der Spieler selbst mitbringen. Wenn ich also zwei Spieler habe, die in Bezug auf Leistung und Preis ähnlich sind, beurteile ich sie anhand der mentalen Werte. Was war das Inspirierendste, das Du in letzter Zeit über den FM gelesen oder gesehen hast? Momentan wird in der Community viel Qualität produziert und ich werde wahrscheinlich jemanden hier vergessen. Ohne bestimmte Reihenfolge: Was Guido momentan auf strikerless.com fabriziert ist erstaunlich. Sein Journeyman-Spielstand ist fantastisch und er holt viel gutes Material für seinen Blog daraus. Cleon ist mit sisportscentre.com auch immer eine Anlaufstelle, wenn ich was zu lesen brauche – auch wenn ich seine eigenen Sachen bevorzuge, da er in Bezug auf sein Wissen und Schreiben für mich in der Champions League spielt. Jemand, den ich erst in letzter Zeit entdeckt habe, ist Rashidi mit addictedtofm.com – seine taktischen Artikel haben mir sehr bei meiner Serie „Beating Brian“ geholfen, die ich für meine neue Website schreibe. Ich versuche die Erfolge von Brian Clough nachzuahmen, indem ich die Wolves an die Spitze führe. Es gibt so viele gute Schreiber da draußen, dass ich schwer alle zusammen kriege – Jonathon Aspey ist noch jemand, den ich gerne lesen sowie andere, die ich vergessen habe. Oh, wir sollten natürlich noch @shrewnaldo Druck machen, damit er wieder mit dem Schreiben anfängt. Wie du vielleicht weißt (oder auch nicht), darf der Football Manager in Deutschland weder verkauft noch beworben werden. Dennoch wächst die Community hier stetig, was uns zu einer Nation von FM-Anfängern macht (auch wenn es ein paar Veteranen gibt). Hast du einen Rat für jemanden, der komplett neu im Football Manager ist? Das wusste ich nicht. Ich finde das erstaunlich, wo das so eine große Fußballnation ist. Ratschläge für Anfänger; nun, wenn der FM15 die erste Version sein sollte, die du spielst, dann steht dir wirklich die ganze Welt offen. Du kannst einen Klub übernehmen und so führen, wie du ihn im echten Leben führen würdest. Mein Rat wäre also, sich vorzustellen, wie man einen professionellen Fußballverein managen würde – angefangen vom Spielstil bis hin zu den Spielern und Mitarbeitern, die man holen möchte – und das dann Wirklichkeit werden zu lassen. Außerdem würde ich vorschlagen, so viel wie möglich von den Leuten zu lesen, die viele Fehler schon vor dir gemacht haben. Der Football Manager ist ein kleiner Koloss und ich kann mir vorstellen, dass viele Leute zu früh aufgeben, weil sie von dem Spiel überwältigt sind und zu schwierig finden. Hier ist die Bonus-Frage von Alex, der dich nominiert hat: Wie hat das Schreiben von FM-Fiction deinen Blick auf das Spiel verändert? Das ist eine großartige Frage. Nach dem Schreiben der Johnny Cooper-Bücher kann ich das Spiel nicht mehr so spielen wie vorher. Über fast jeden Spielstand, den ich starte, schreibe ich auch und ich habe mehr Nebengeschichten und Charaktere in jedem Spielstand, als ich verarbeiten kann. Mich hat das auch deutlich ehrlicher und realistischer in Bezug auf das Spiel gemacht – kein Ausdenken mehr von unrealistischen Supertaktiken, wie man das noch im CM konnte; ich versuche jetzt immer etwas realistisches und erfolgreiches zu kreieren. Ich fange auch nicht einfach neue Spielstände an (seit ich blogge habe ich über vier oder fünf verschiedene Spielstände geschrieben; über jeden davon mindestens 10.000 Wörter, bevor ich was neues angefangen habe! ), wenn ich etwas starte, will ich damit länger verbunden sein. Schwierig zu sagen, aber seit ich die Bücher geschrieben habe, fühlt sich das Spiel noch realistischer an. Ich denke, ich hatte sehr viel Glück, dass ich das Spiel, das mich als Teenager durch ein paar schwierige Zeiten gebracht hat, nutzen konnte um einige Bücher zu schreiben, die den Leuten zu gefallen scheinen. Nun darfst du den Staffelstab weiterreichen: Welchen FM-Schreiber soll ich für den nächsten Teil der Serie interviewen? Und gibt es eine Frage, die Du ihm stellen möchtest? Das muss Guido Merry sein. Seine Website war eine der ersten, die ich nach meiner Rückkehr zum FM gelesen habe und seine Art zu spielen hat mir viel Freude bereitet. Dazu ist er Niederländer und das macht ihn in der Fußballwelt sofort cool. Meine Frage an ihn: Wenn du ein echter Trainer wärst, wie würdest du eine Mannschaft trainieren, um ohne Stürmer zu spielen? Chris Darwen bloggt auf Come On The Oviedo und twittert unter @thehighertempo. Der nächste Teil der Serie erscheint voraussichtlich am 22. Juli.